This Oyster rattan daybed available with or without canopy is the perfect contemporary addition to any luxury garden or hotel. 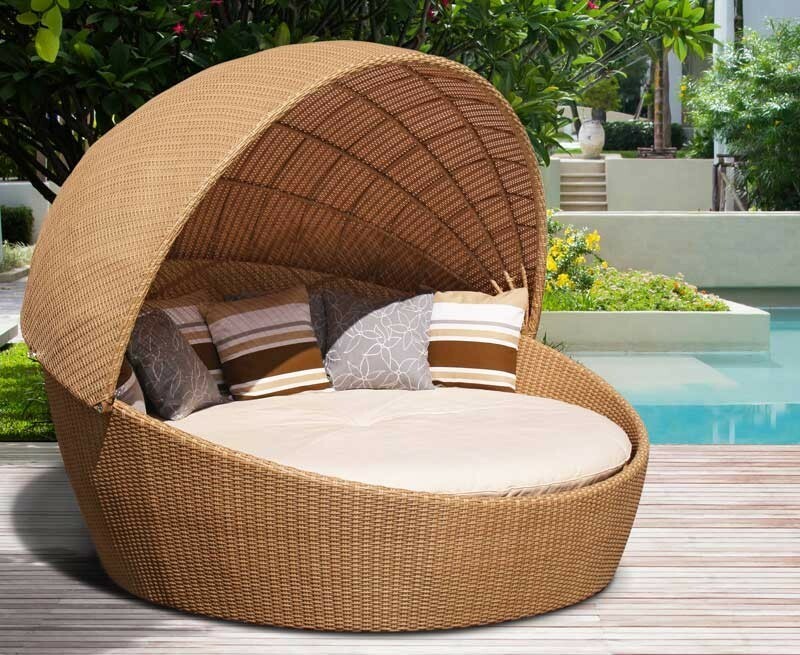 Expertly crafted to the highest spec from the finest materials, this round wicker daybed is guaranteed to impress and will tempt you into the garden all summer long. 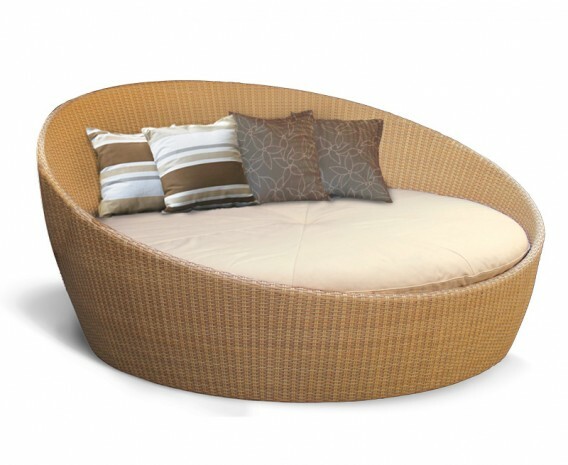 This Oyster rattan daybed is made from soft-touch synthetic Rehau Raucord® rattan, offering the natural look and feel of rattan with greater durability and strength. 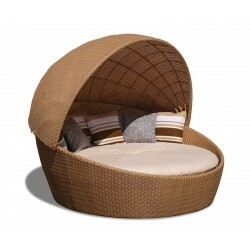 Hardwearing and colourfast, this stylish round wicker daybed is available to purchase with a partially retractable canopy hood to provide shade, relaxation and an ultra-modern look for your home. 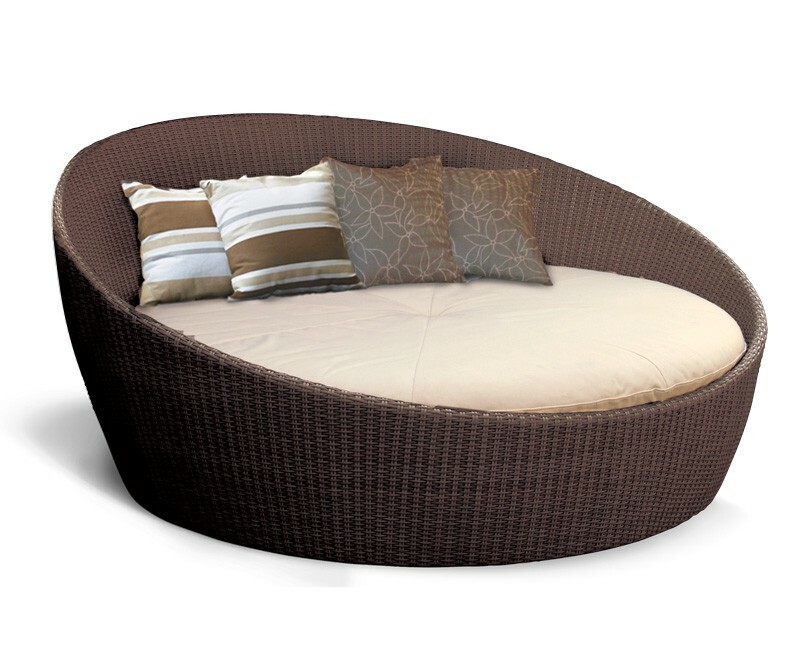 Our double daybed for the garden is available in Honey Wicker or Java Brown weave colours – please make your selection from the options above. 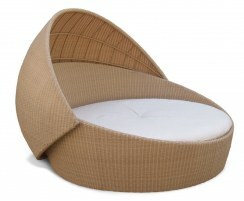 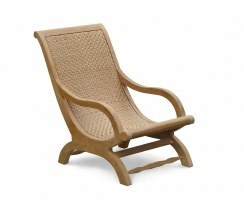 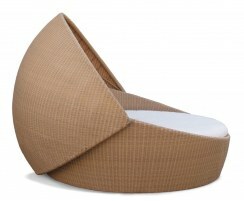 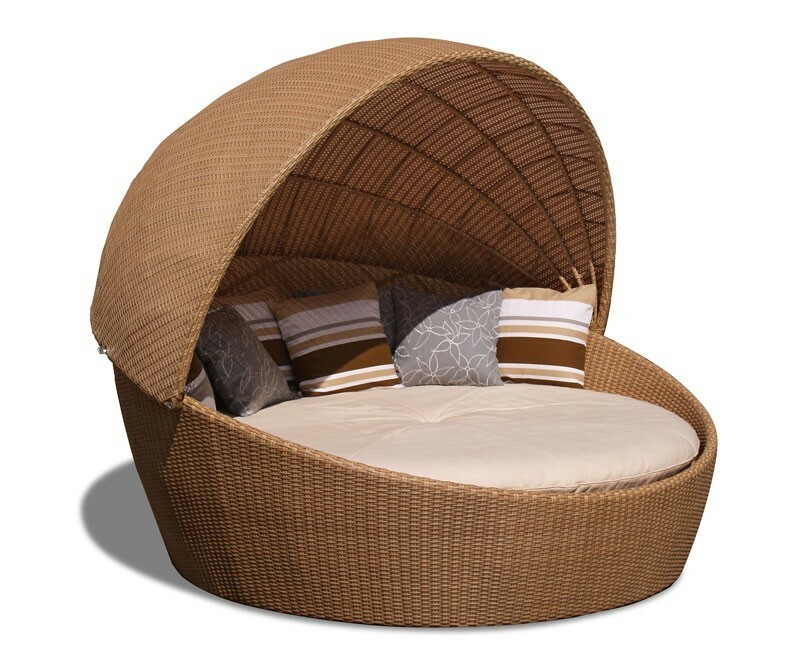 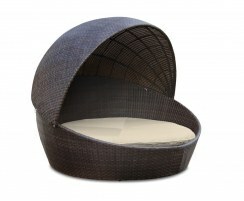 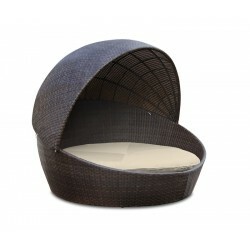 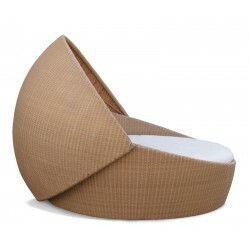 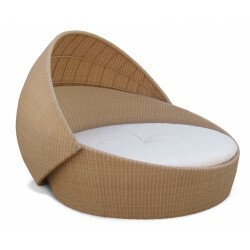 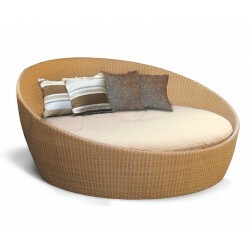 This round wicker daybed comes with a thick, comfortable, natural/ecru mattress. 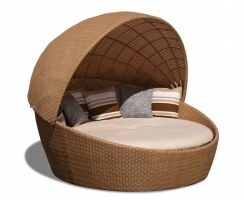 Please note that the scatter cushions are not included. 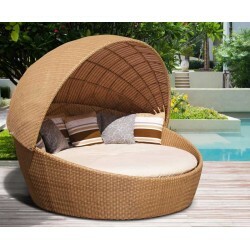 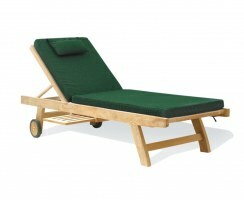 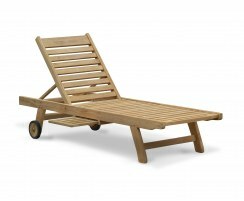 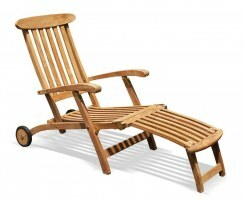 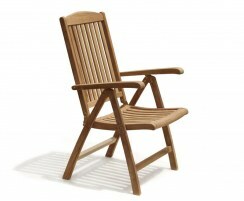 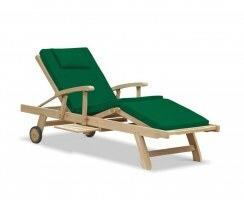 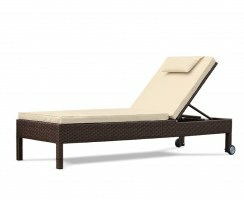 We will deliver this rattan daybed with canopy to you fully assembled for your convenience and enjoyment.